The four-day art and design fair will bring global heavy hitters to San Francisco this week. Here’s the work we think will steal the show. 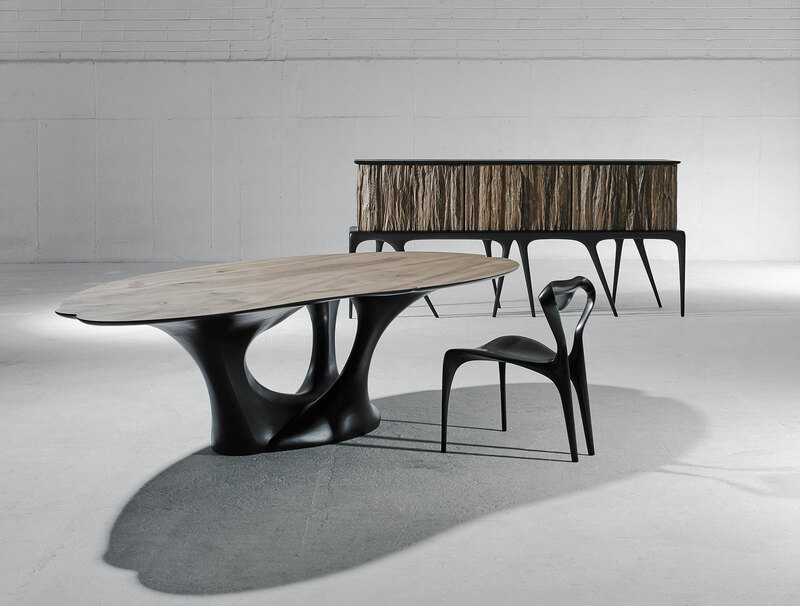 Designers, artists, collectors, dealers, and no small number of enthusiasts will descend on San Francisco for FOG Design+Art, held at the historic Fort Mason Center for Arts and Culture January 17-20. Entering its sixth year, FOG has become a high point on the West-Coast cultural calendar. This year the always well-curated fair has expanded its international scope. A total of 53 galleries—a bit larger than last year’s 45—will bring 20th- and 21st-century work from global design hubs such as Mexico City, Stockholm, and Berlin. Here is an early look at what we think will be among the show’s highlights. Irish woodworker Joseph Walsh’s sculptural Dommus Series, consisting of chairs, a table, and a cabinet in ebonized and lacquered walnut, forge a sense of festivity for the London gallery’s FOG debut. 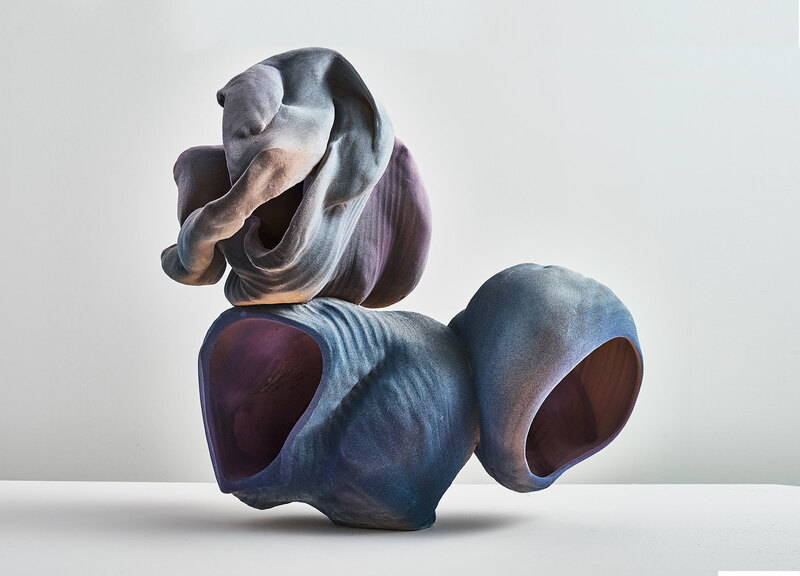 The New York City–based purveyor of 19th- and 20th-century European ceramics presents It’s a Toy Violet Brain (2018), a unique stoneware piece by Belgian artist Anne Marie Laureys. 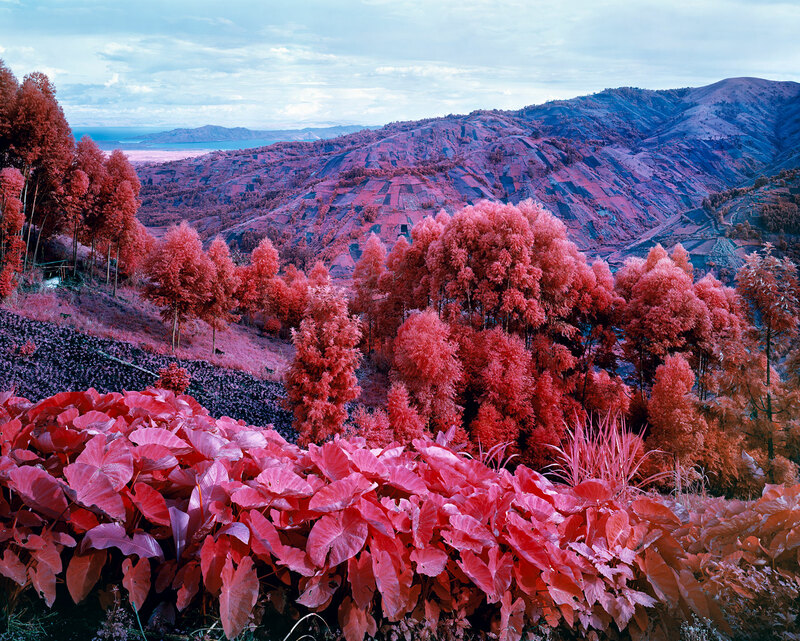 Irish photographer Richard Mosse, notable for using infrared film to shroud his subjects in dream-like chromas, will showcase a selection of digital c-prints such as I Shall be Released (2015). 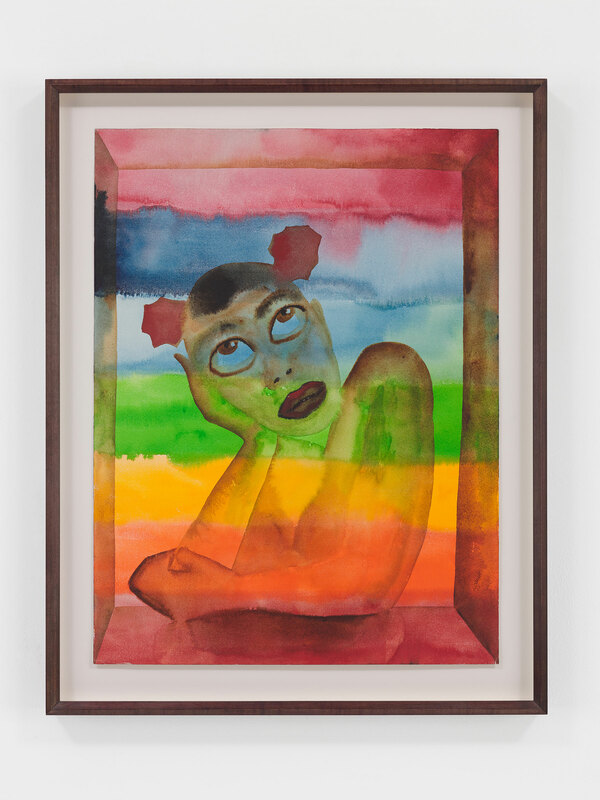 Francesco Clemente enlivens the London gallery’s FOG debut with Actors of the Terreiro XXII (2008), an introspective oil painting steeped in sensuality. 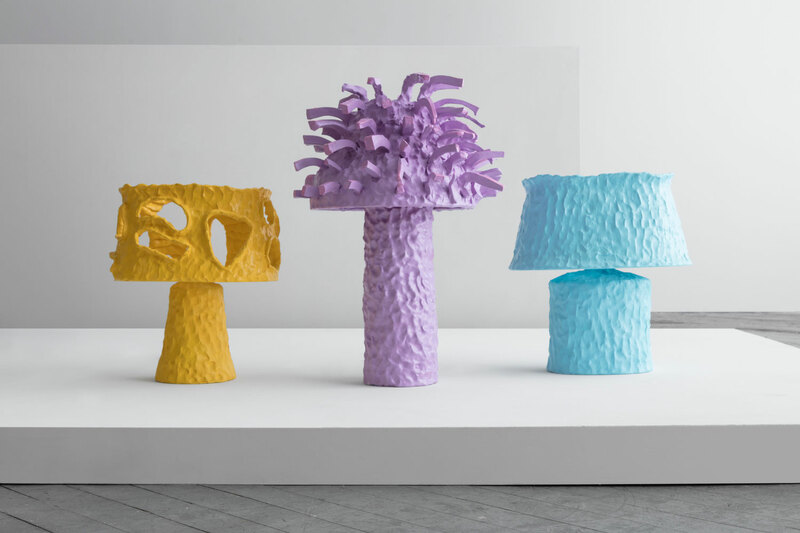 Offbeat design wunderkind Katie Stout, known for her anthropomorphic lamps laden with feminist themes, debuts three one-of-a-kind luminaires in hand-built and painted ceramic through New York City gallery R & Company. 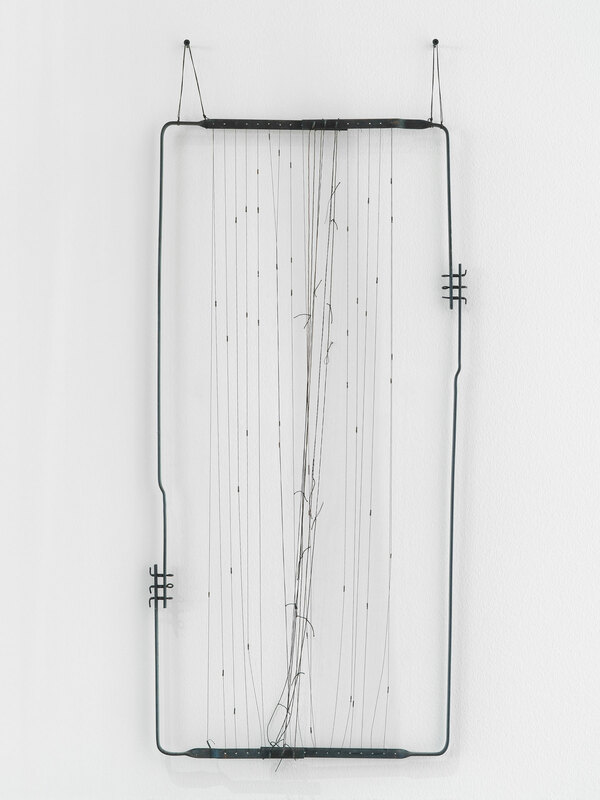 On display in the post-war contemporary gallery’s booth are works by groundbreaking female artists Gego—whose kinetic metal sculpture, Dibujo sin papel 86/15 (1986), is pictured—and Carol Rama. 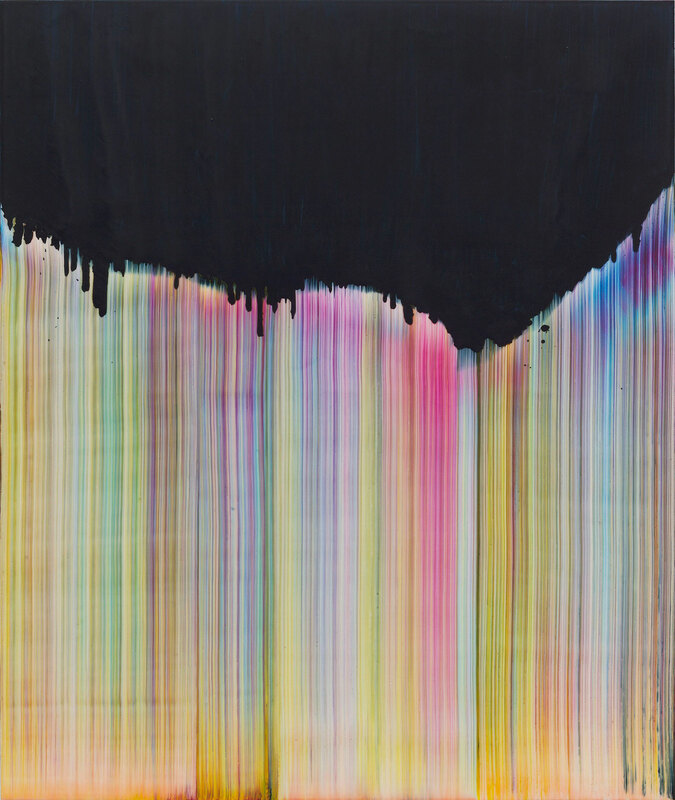 In anticipation of his upcoming Bernard Frize survey at Paris’s Centre Pompidou, Perrotin will showcase the artist’s Capi (2015), an acrylic-and-resin painting where vertical streaks of marble-like pastels juxtapose with a blacked-out void. 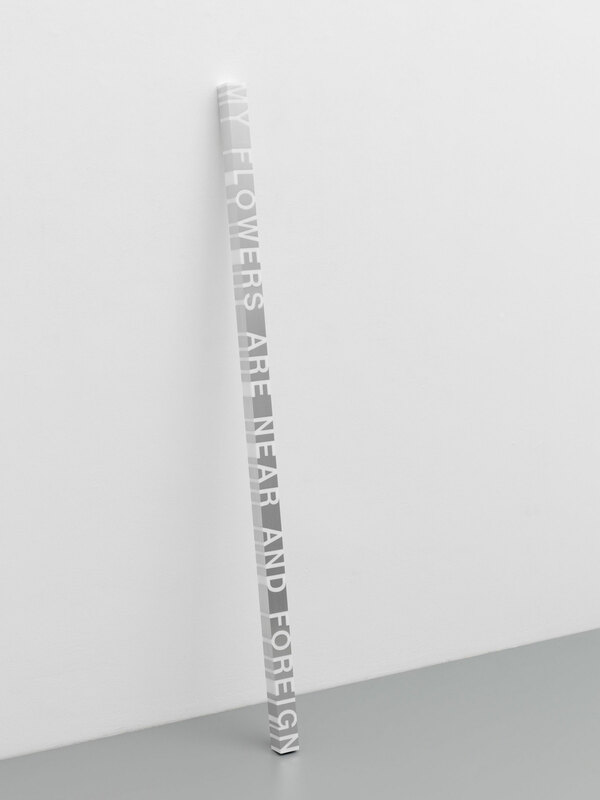 For Hauser & Wirth’s inaugural run at the fair, Roni Horn brings a lengthy, square aluminum sculpture (White Dickinson, 2006) with an Emily Dickinson quote cast within. 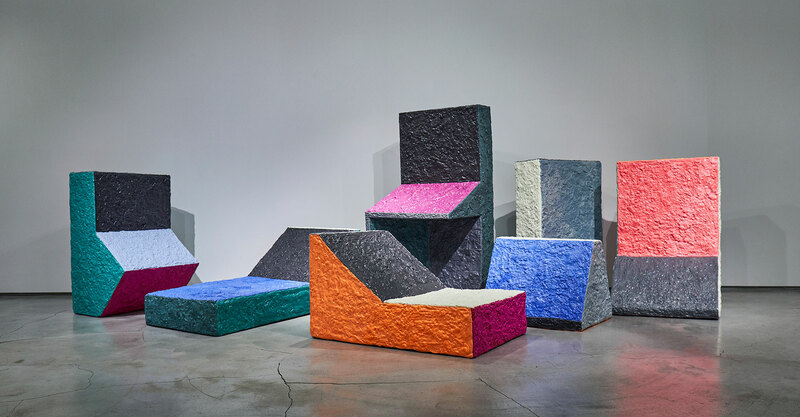 Cristina Grajales presents South Korean designer Sang Hoon Kim’s artful array of technicolor furnishings, their rough-around-the-edges tactility belying a composition of memory foam crafted from intricate chemical processes. 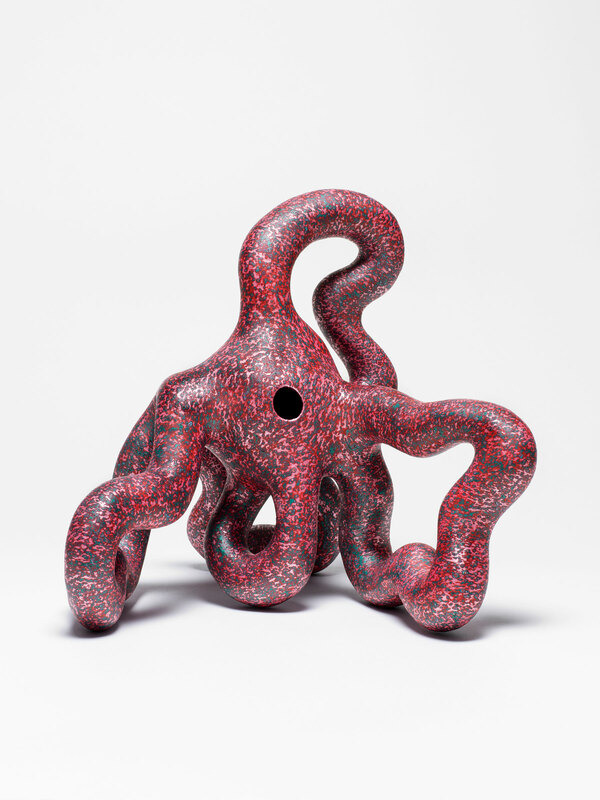 The bicoastal gallery toasts the legacy of late American artist Kenneth Price, best known for acrylic-painted ceramics in biomorphic shapes, by presenting one of his finest: F.E.W. (2003).